Technical maintenance of the website is the work conducted to ensure its efficiency. Maintenance can be either permanent or periodic. Periodic maintenance costs much more expensive, because you are to hope that the specialists in the company that provides technical support will be free at this time. Add also that an expert who is not familiar with your website might work with the project, which this is a risk of significantly higher expenses for the specialist and loss of data. Constant maintenance of the website will allow you to monitor its status and minimize possible failures (loss of data) and ensure rapid implementation of tasks. To keep the visitor’s interest in your website, as well as the success of any business or web project, in particular, you need to constantly update and develop as well as add new functions and pages in your website. There is a need for design or updating of materials posted on the website, creation of banners, usability improvements or changes. In addition, it is necessary to monitor availability and performance of the website, make backups, so that in the event of a technical failure, it is possible to restore the operability of the resource in the shortest possible time. The website should be accessible to your customers. 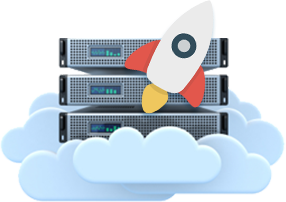 Hosting is a service that allows you to host a site on a special server that ensures its continuous availability on the Internet. We help to choose a hosting company (hosting company) and place the site on its server. If necessary, we serve customer servers.